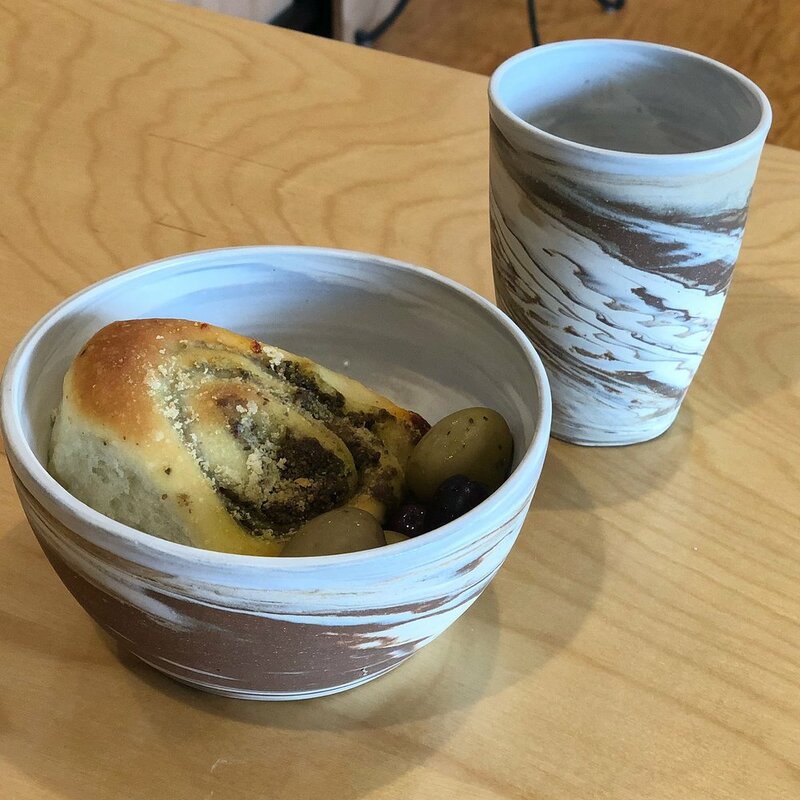 Whether you're planning a wedding, commemorating an anniversary, marking a significant birthday or organizing a house warming, pottery is the perfect gift. Our line of pottery suits the needs of all home cooks! From garlic keepers, salt cellars, juicers, utensil holders, casseroles, chip and dip platters to olive & pit dishes, garlic graters, pinch pitchers and spoon rests, we've got you covered. Click to view a gallery of our fun & functional options. "Lyndsay, Thank you so much for designing and custom making the most beautiful dinner sets and other pieces for my bridal shower. BEST GIFTS!! You're such a talent and a joy to work with! All my love and thanks." Do you want to support other makers and small businesses with your registry/event? We will guide you through the process to custom design your registry pieces and your guests will enjoy a streamlined shopping experience and feel good about purchasing from a variety of small businesses. These folks come with our HIGHEST recommendations. Make your event the best it can be by supporting small and partnering with local businesses. Check back often as we continue to curate this list! Celebrated - plant based bakery specializing in wedding cakes, pastries, macarons and more! Are you interested in finding out more about creating a custom Handmade Gift Registry? Fill out the form below and we will be in touch with you! Provide a few details about your event and what items you might be interested in adding to your registry.